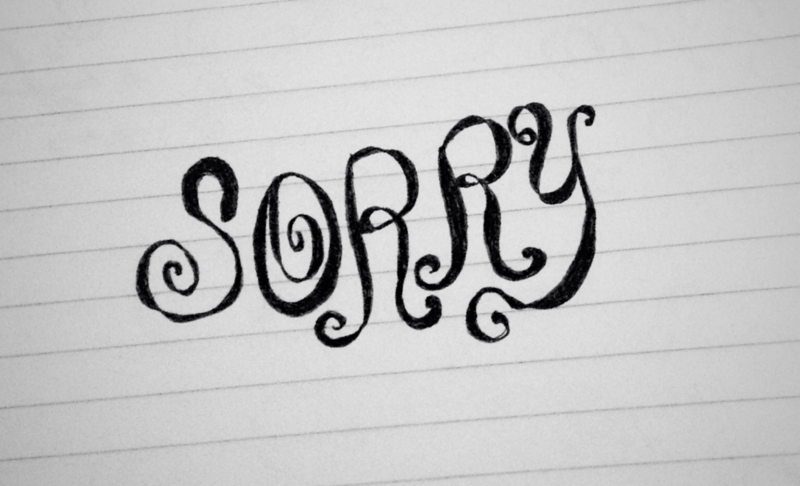 I’m sorry I screw things up. I’m sorry I’m never good enough. I’m sorry for being a pain. I’m sorry for being good-for-nothing. I’m sorry for being loud. I’m sorry for being irresponsible. I’m sorry my best can’t satisfy you. I’m sorry for not being how I should be. I’m sorry for being wrong. Forgive me for the things I can’t do.